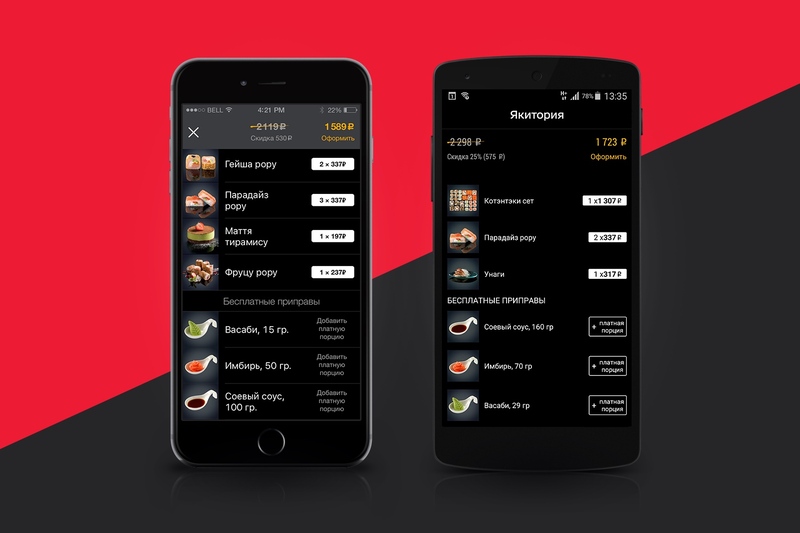 Food delivery mobile application for Yakitoriya restaurants | VoltMobi | VoltMobi LLC. If you can not imagine your life without rolls and sushi, for sure you heard about or visited a restaurant of Japanese cuisine Yakitoriya. There is no sense in speaking about how good Yakitoriya is. It is enough to visit it once – and you will fall in love with Yakitoriya forever. By a fortunate coincidence, we enjoyed the privilege to create for it three great applications that we constantly continue to improve by adding new options for users. The history of our cooperation began in 2012, when representatives of Yakitoriya made a request to us to create applications for the two most popular mobile platforms – iOS and Android. At that time, they already had the first version of iOS-app for the iPhone, which was even published in the App Store. It had a minimum of options: it was allowed to make an order, to arrange delivery or pickup. 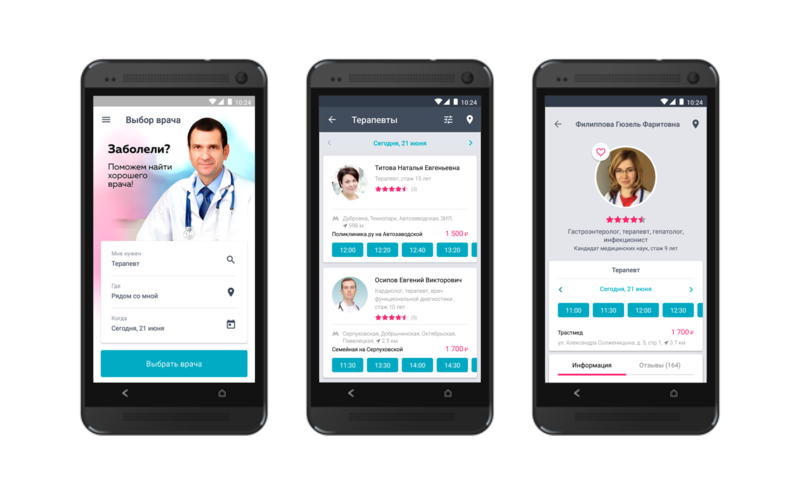 But there were a lot of claims on the application, so we decided to change the app fundamentally, combining work on it with developing Android-version. The most difficult turned out to be the first six months of developing. We constantly had to decide the issues of integration with the Yakitoriya’s site. At that time the application got the data from the website and send it orders. This decision is the first coming to mind and is widespread, but it is far from ideal. Plenty of time slept away on the coordination of details, many issues were difficult to implement, because the site was not originally designed to process information coming from mobile applications. 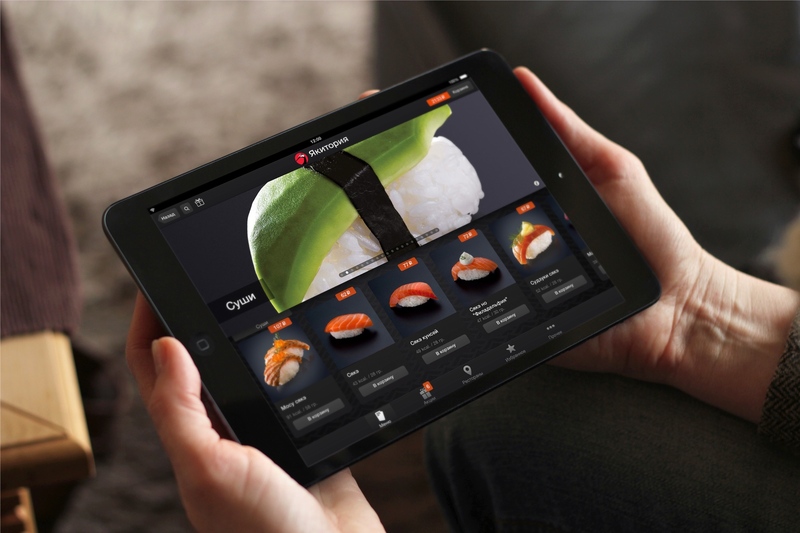 Therefore, we proposed Yakitoriya to use a separate content management system of mobile applications. Analyzing the advantages and weaknesses of competing applications, as well as new market trends, we designed and implemented a powerful synchronization system in order to make Yakitoriya’s content be downloaded simply on the fly. After all, the worst thing you can do with a hungry man – keep him waiting. And since 96% of downloaded information are images, it was necessary to minimize their size and increase download speed. We created a special Beacon service: intermediate link between the application and delivery service, which synchronizes the images and dishes from the menu, manages marketing actions and performs many other useful functions. As time has shown, this solution allowed Yakitoriya to avoid grab bag of problems and serious losses. Beacon service cuts images in the proportions that suit each smartphone model. Thereby it minimizes the traffic, and the app does not download unnecessary information. In addition, we use the CDN (Content Delivery Network) for the fastest content download and also image optimization services. For example, JpegOptim, which produces compression of images without loss of optical quality. Beacon also allowed us to check users’ shopping carts, give clients gifts and discounts. Sometimes a user adds a dish into a cart and quits the application, never payed for an order. Then, after a month he launches the application and tries to place an order. During this time the menu or the price of the dishes may change. Therefore, every time we check if the old price is up to date and whether the dish is available. In addition to the visible changes that users noticed, the application underwent profound internal alterations. We understood that a user must take a minimum of actions to obtain the desired result, and we started to work on simplification of the ordering system. We added in the application a composite menu: an option to choose noodles and filling. And Yakitoriya’s operators no longer called back customers, specifying what kind of noodles they wanted to order. 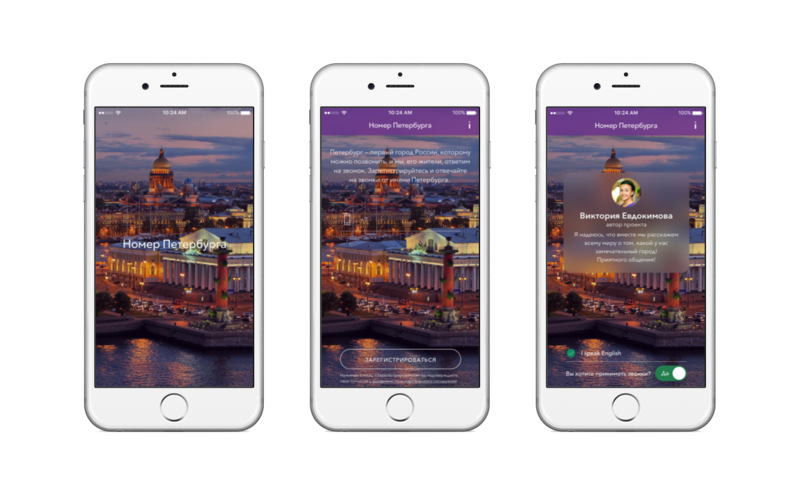 And then we added the autocomplete of addresses for Moscow Region, having integrated the application with an address guide. So now, suffice it to enter the first letters – and the system will display a full name of a street. In the first version of the app users payed for the order only in cash upon receipt. But many of them would like to pay by a card. That’s why we decided to move in this direction. 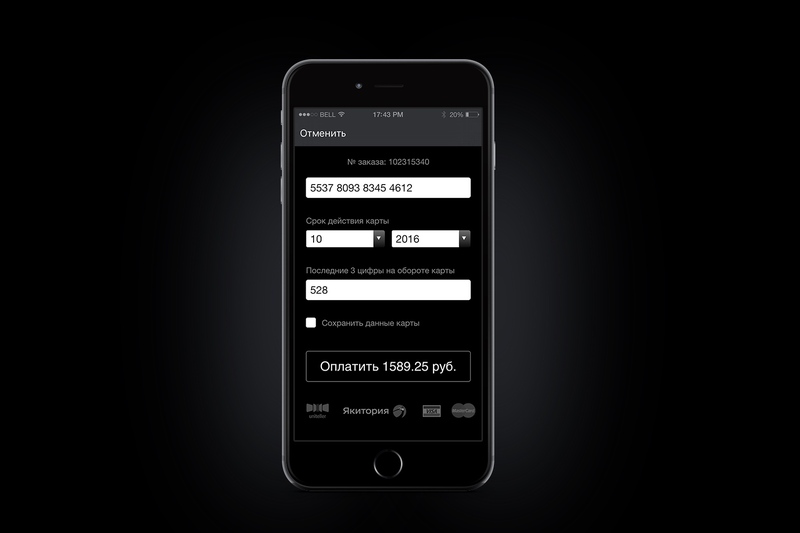 Our first partner was the Master-Bank, and with its help we quickly created a form of payment by bank cards within the app. 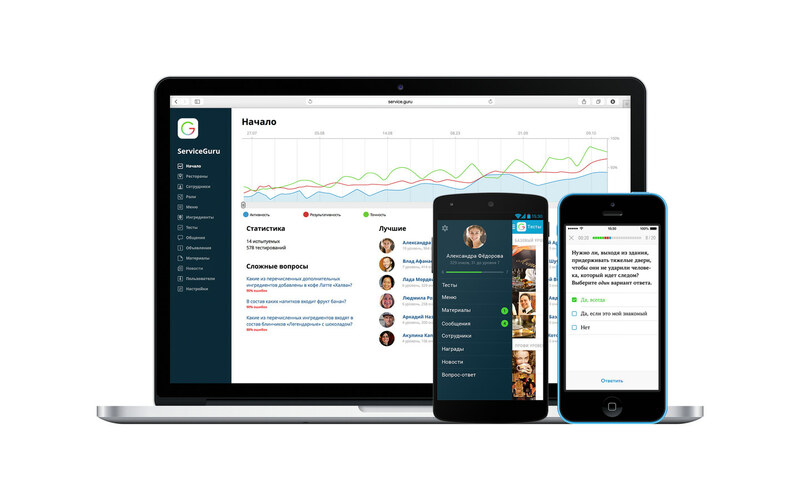 In the summer of 2013, we completely revised the design of the application. But when we were going to release it, the Master-Bank’s license was revoked. Payment by bank cards did not work and we had to look for a new partner. We found him in the person of a payment processor, and in the shortest time possible we altered payment by bank cards in all applications. And now it does not depend on actions of a particular bank. Yakitoriya is very attentive to its customers and constantly offers them interesting actions, which allow to receive yet more rebates and discounts. We wanted to implement them within the application. But despite the apparent simplicity, this task turned out to be not the easiest one to carry out. But in 2014 we finally added a powerful and flexible unit of actions into the application. 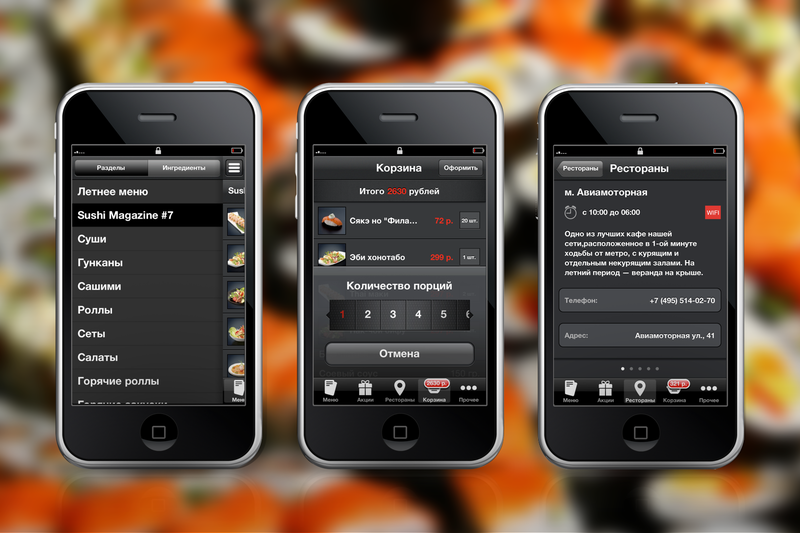 Due to which Yakitoriya’s employees got the opportunity to set up and activate actions in mobile applications. More recently we simplified the process of entering the number and identifiers of a bank card, because it was the most difficult step in the process of order payment. First, we reduced the number of fields required to fill in and then added an option to save a card inside the application. And now it is enough to enter one identifier, known to you, to make a purchase by a card by means of the application. The benefits of such novelties were obvious. 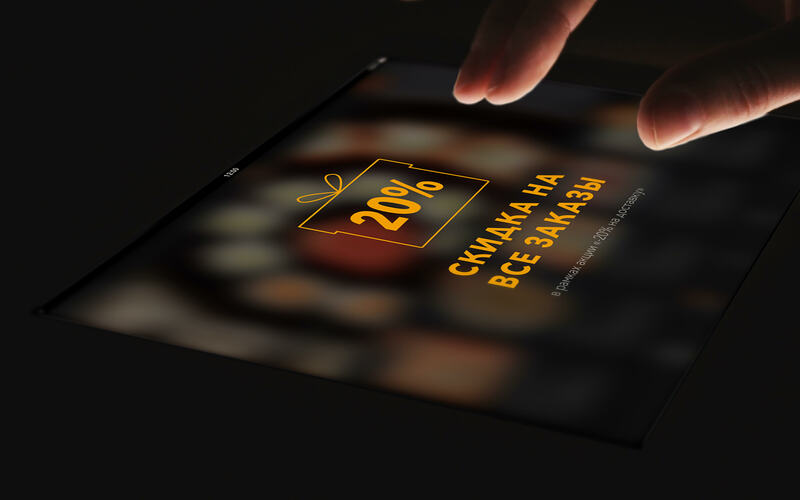 The new system of discounts and simplified bank cards payment scheme provided the applications a new influx of users and significantly increased the turnovers generated by apps. Together with our partners from Yakitoriya we are developing several very interesting and remarkable innovations in our mobile apps. Upcoming changes will make ordering process not only simple, convenient and intuitive, but even gambling. 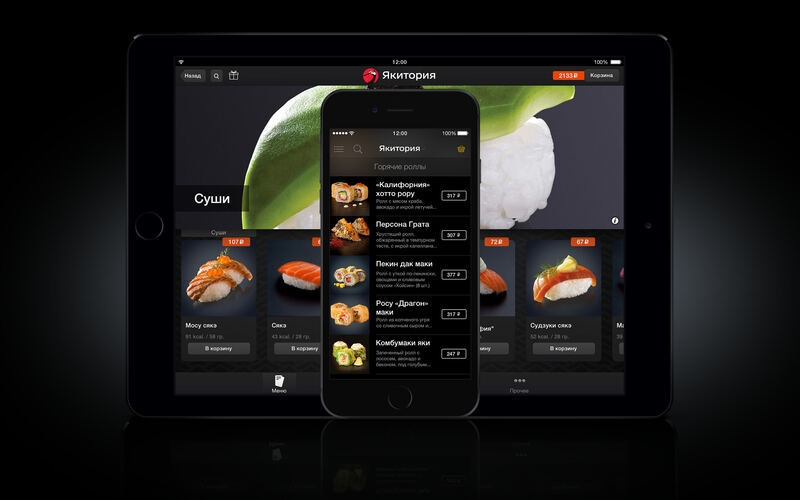 We are very pleased that our colleagues from Yakitoriya maintain striving to permanent improvement, and we are confident that together we will create certainly the best app for ordering food in Russia!